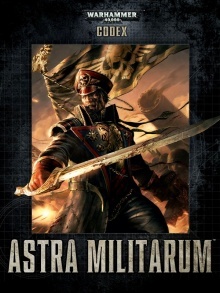 Taking a break from FW army list series, let me share few thoughts on new Astra Militarum (Imperial Guard) Codex. Long awaited codex which was surrounded by many speculations. For me, as a fan of Imperial Guard (although not an active IG player myself – I have just few models and never deployed them to battle), the codex contains few little surprises and a lot of disappointments.